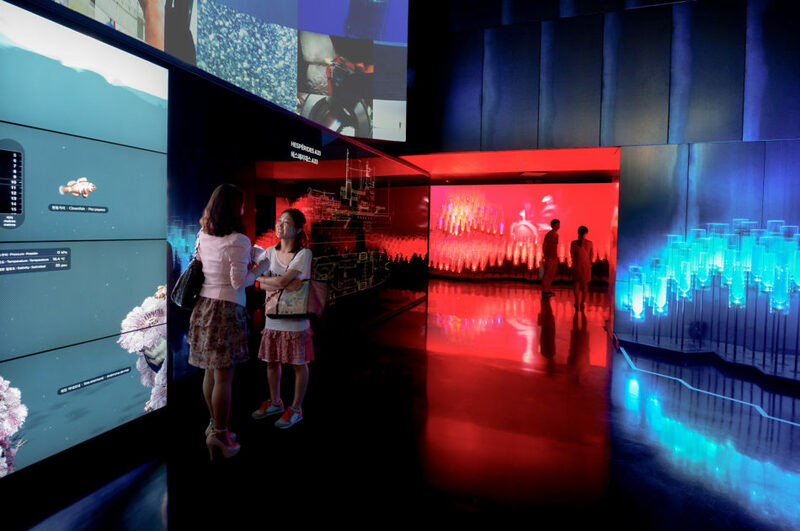 Onionlab participated in the creation of the Spanish Pavilion at Expo Yeosu 2012 International Exhibition. 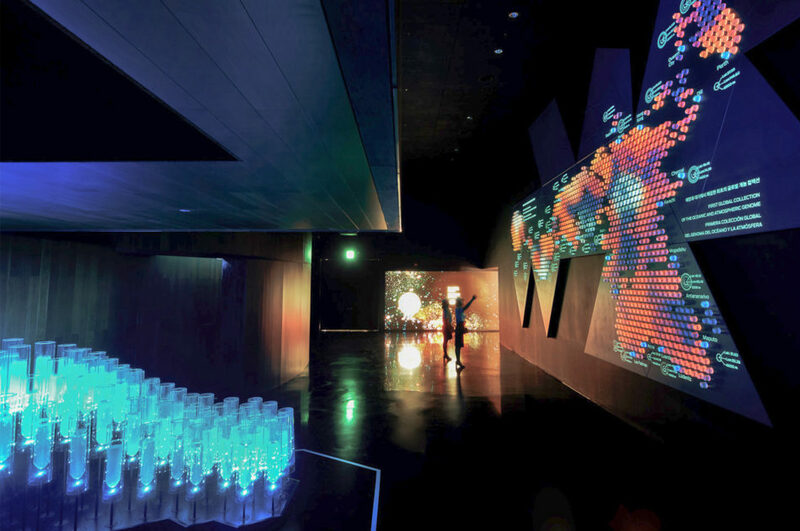 We were commissioned to produce several audiovisual pieces focusing on scientific expeditions Malaspina I (1789-1794) and Malaspina II (2010-2011) promoted by the Spanish Government. 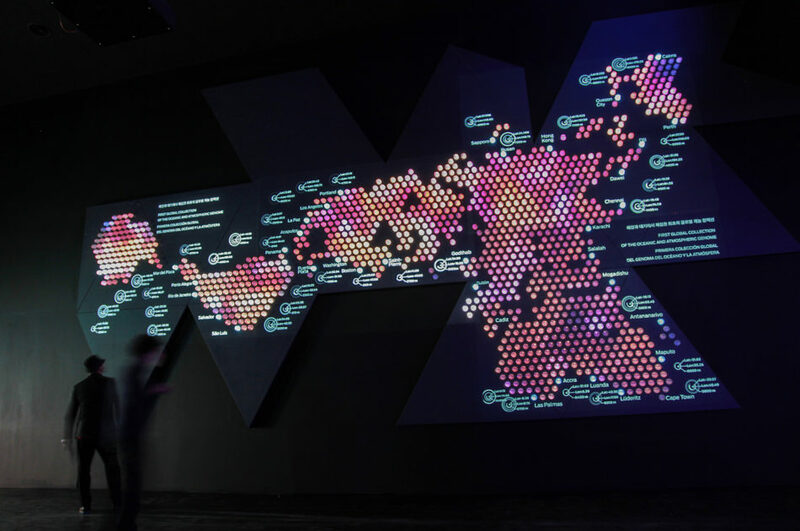 One thousand two hundred water samples arranged in the form of a world map mapped with light show Malaspina II’s journey as well as the points where the expedition took water samples and the currents that affect the oceans. 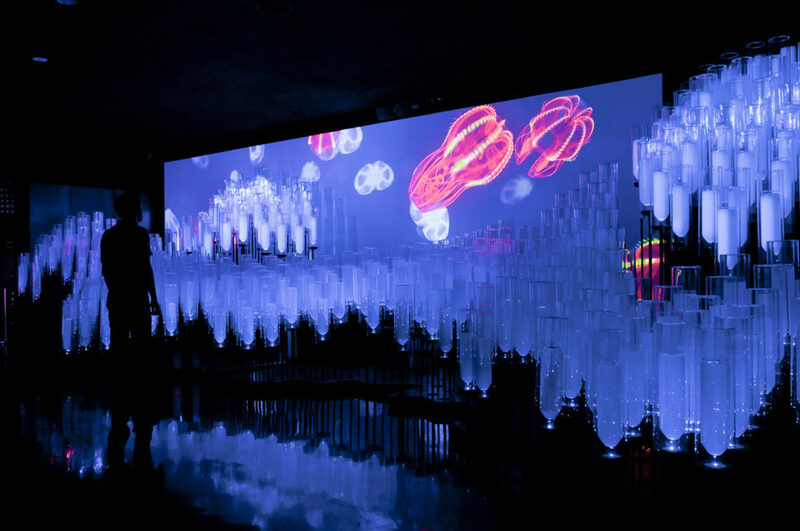 Deep Ocean presents underwater life at a depth of close to 5,000 metres dominated by strange, luminescent creatures. 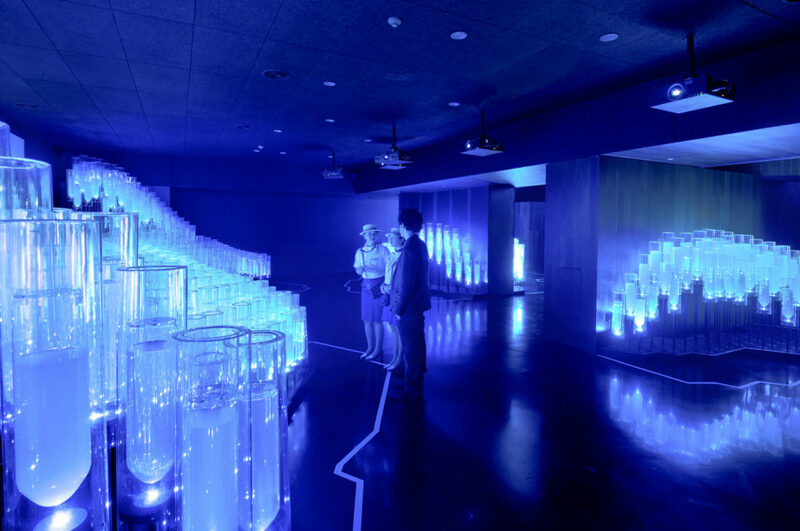 With an 8-metre screen, 5.1 sound, mapping on bottles, LED lighting that reacts to sound and interactivity with some of the characters from the experience, the installation is perhaps the piece that has garnered the most admiration at the Spanish Pavilion. Ocean Section guides us through the marine strata to give us an overview of the species inhabiting each underwater layer.